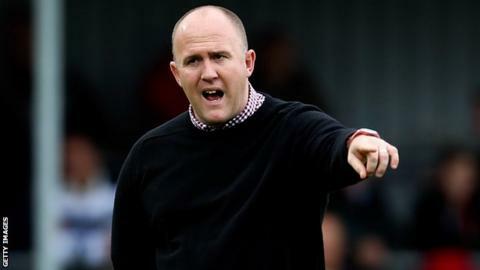 Cornish Pirates head coach Ian Davies said the string of injuries to senior players this season will work to the club's long-term benefit. Injuries to players such as prop Alan Paver and lock Gary Johnson have forced Davies to pick some of the less experienced members of his squad. "To be honest, it's been a blessing in disguise," he told BBC Radio Cornwall. "There's a sprinkling of names who've had more rugby this year than we envisaged when we signed them." Davies, whose side currently lie sixth in the Championship, added: "Hopefully that will lay the development for the Pirates next year, and not other clubs. "People like Darren Barry have certainly had to stand up and lead the line-out without Gary Johnson and he's flourishing. "Other guys like Peter Joyce and Ben Prescott, without Alan Paver on the park, have had to take more onus with the scrum preparation and Jack Andrew is a big player for us this year and is also flourishing. "Tom Kessell played fantastically well when Gavin Cattle was injured and took his chance, Junior Fatialofa has been in and out with injury so Rheon James has come in and done well." Reflecting on the year as a whole, Davies said the Pirates had taken a major step forward this season after a difficult 2012-13 campaign. "This year started fantastically well for us when we beat Bristol on 1 January, but it was a tough old season last year," he said. "We slugged it out a bit. We didn't have a lot of players and that dictated how we had to play, but we recruited well in the summer and we've started this season fantastically well so we're ending the year on a high - with one more game to go [against Plymouth on Boxing Day]. "It would be nice to finish with a win but we're certainly moving in the right direction. The next stage in the development is to try to get consistency from this squad, keep this squad and build towards next year."